Streaming Music – Where Does My Monthly Subscription Go? I pay ten bucks a month to my streaming music service. 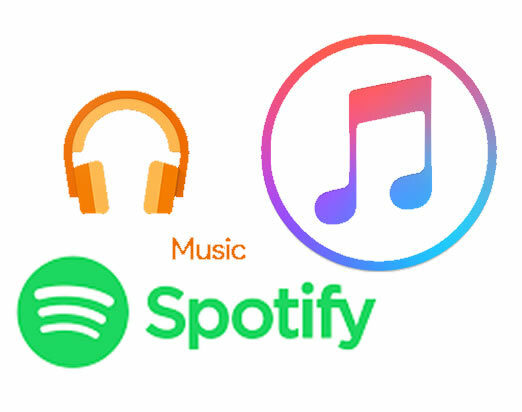 This is the going rate for services such as Apple Music, Spotify, Deezer or Google Play Music. From my perspective, that’s great value for access to millions of tracks of music. Heck, I remember being excited to pop in a cassette and walk down the street listening to an entire album or even a mix-tape of my favourite tunes, so to be able to take that same walk down the street with so much greater access is pretty unbelievable. As I talk to more and more musicians and people in the music industry, I was left wondering how my ten bucks gets divvied up (not to mention, “Why are there two vees in divvied?”). I turned to Canadian Musician – the foremost authority on the music industry in Canada. Having read Streaming Money is Flowing, But Where To? I wasn’t left kicking myself for having given up guitar lessons in favour of playing road hockey. Revenue sharing in the music industry is hugely complicated, but I’m comfortable saying that I would not be a wealthy man even if it was a 50/50 split. From what I could ascertain, and this was a very well written and research article, music publishers and song writers are getting about $1.30 of my ten bucks. The streaming services keep about $3.00 for their services (and none of them are profitable yet), and the record labels (there are three major labels in Canada) are getting about $5.70. Of that $5.70 the label keeps about $4.85 to cover “recoverable expenses” such as marketing and promotion. The remaining .85 is divided fifty-fifty with the artists. This split will vary depending on the contract signed by the artist, but for argument sake, let’s say 45 cents or just under 5% goes to the artists. This could be higher is the artist is also the song writer. In Canada in 2015, streaming music generated about $50 million in revenues. By my calculations, artists got about $2.5 million. Divided that up amongst all of the artists in Canada – remembering that the biggest shares are going to Drake and Bieber – and you know that Canadian musicians are in this business for more than the money. Makes me appreciate the dedication and sacrifices these artists are making for our enjoyment. If you get a chance – thank a musician – or better yet, go to a live performance to show your appreciation.